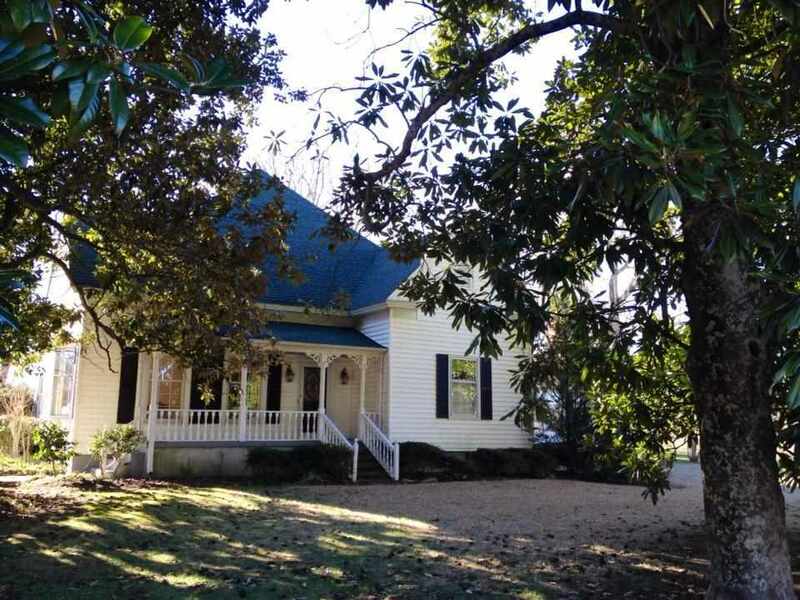 Charming 1920 farm house located on nearly 17 acres convenient to BMW, GSP, Greer and I-85. Approx 1.5 acres of manicured lawn, 7 acres tiered for farming (used to be a peach orchard) and the back half is natural woods, full of deer. There is a creek in the middle of the woods and a waterfall at the edge of the property. 2 property lines are water. 4 magnificent magnolias adorn the front yard along with over 40 well-placed crepe myrtles throughout the front & back yards. A 100 year old oak tree towers in the back yard. Inside you will be amazed at the spacious rooms. Large formal living room greets you as you enter with lots of light from the large windows. On the main floor you will find a large dining room with fireplace that is the pathway to the sunken den with cathedral ceiling and hardwood floors. The spacious kitchen and breakfast room look out onto the back patio with gazebo just waiting for family and friends to arrive.